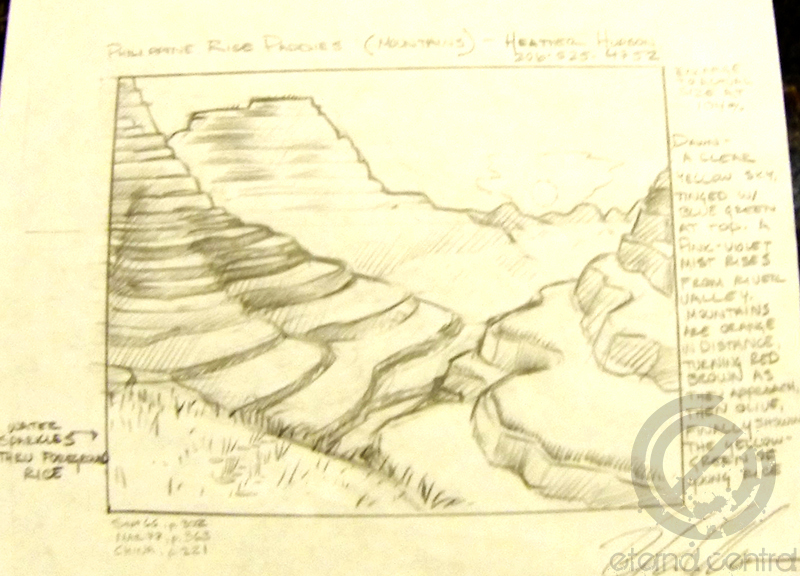 Here is the original prelim sketch (for approval before final painting) for Mountain (APAC – Philippines), by long time Magic artist Heather Hudson. This piece was originally released in the limited edition Asian-Pacific (APAC) land series, given out to players to promote the game in 1997 and 1998. The image above depicts the Philippines. A closer of this prelim sketch you will notice the artist’s notes for the idea and feel of the piece, so the art director would have a better understanding of the artist’s thought process behind the piece, and where the final direction of the painting would go. This is why many prelim sketches are so interesting, because they show the ideas behind the finished piece.